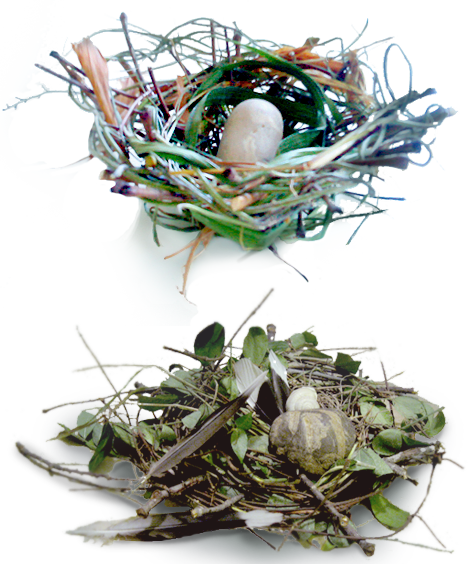 Nest MakerGrab some twigs and make a nest for your keepsakes. 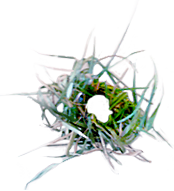 Have you ever found a bird’s nest on the ground or spotted a nest full of new babies? Imagine making a cozy house using only what you find around your yard. But don’t just imagine it – try it! 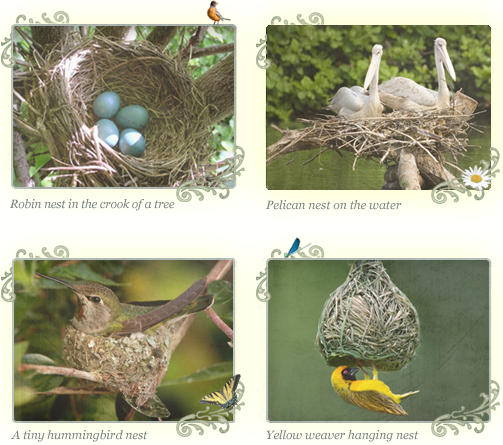 Just like people, birds live in many different kinds of homes. 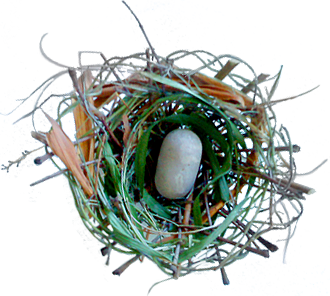 Check out these cool nests and pick a favorite style! 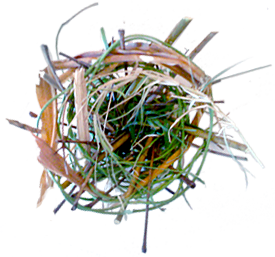 See if you can you find a real-life nest that a bird has left behind. Look closely to see how it was made. 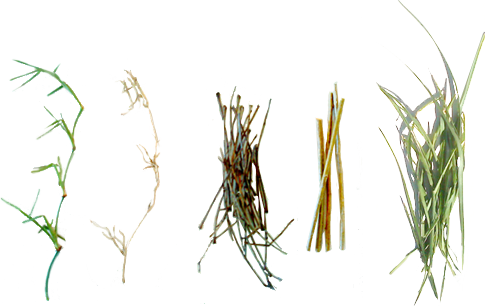 thin, strong sticks and twigs (about the size of your hand). Make sure they don’t snap too easily! long, bendy greens. Really long grass, or vines with the leaves stripped off work really well. special stuff – feathers, pretty stones, flower petals, whatever you like! Make a base. Wrap several pieces of long grass or vine stems around your fingers. Twist them as you go so that they hold together in a small donut shape. Keep adding more greens until the donut keeps its shape on its own. 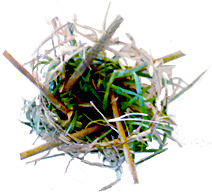 Add “fenceposts.” Push 6 or 7 small, strong sticks into the donut to make the “fenceposts” for your nest. Space them equally apart and lean them all in the same direction. It’s OK if the sticks are kind of loose for now. Start weaving! Weave greens in and out of the fenceposts, going under one fencepost and over the next. Tuck the loose ends into the base. Add more small sticks. Weave them down around the greens as you push them in. Weave more greens in and out of the sticks. 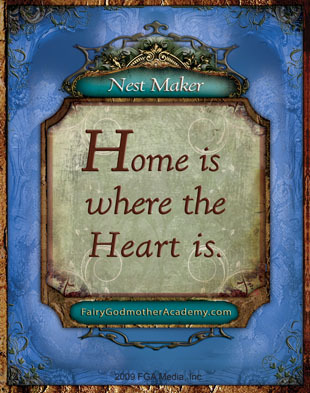 Keep working in sticks and greens until your nest feels done! Line your nest. Find some soft and pretty Green World material to line the inside! Try flower petals, leaves, feathers, fluffy seeds, animal fur, or moss. 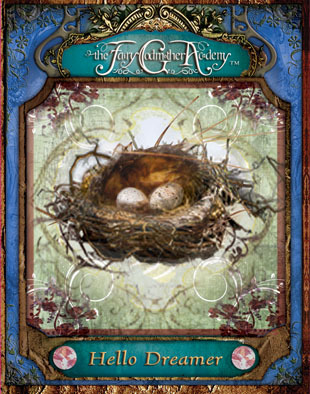 Birdie and Mo keep their family talisman safe in a nest. What special thing will you put in yours? Maybe your family talisman? There are lots of Robin nests on my farm!